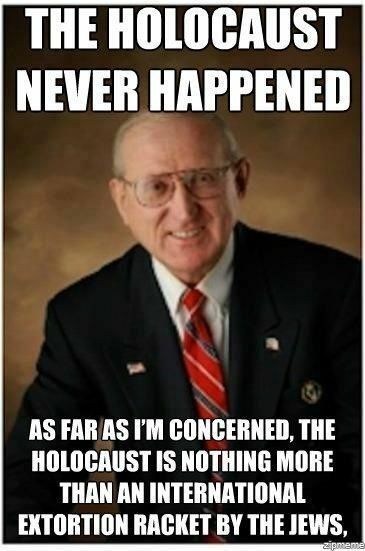 A Holocaust-denying white supremacist, Arthur "Art" Jones, is the only Republican primary candidate running for the U.S. House of Representatives in Illinois's 3rd Congressional District, meaning he will likely become the party's official nominee next month, according to local reports. The 70-year-old resident of Lyons, a suburb of Chicago—who, on his campaign website, declares "it's time to put America first" and the Holocaust is "the biggest, blackest, lie in history"—told the Chicago Tribune this race is "absolutely the best opportunity in my entire political career." "He ran for Milwaukee mayor in 1976 and 13th Ward alderman on Chicago's Southwest Side in 1987," the Chicago Sun-Times reports. "Since the 1990s to 2016, Jones has jumped in the GOP 3rd Congressional District primary seven times, never even close to becoming a viable contender." Now—although the chairman of the state's Republican Party has denounced Jones's candidacy, and he will likely be defeated by one of the Democrats, Rep. Dan Lipinski (D-Ill.) or the representative's primary challenger, Marie Newman—his candidacy is prompting national discussions about racism and candidates for elected office following the election of President Donald Trump, who repeatedly disparaged people of color and immigrants on the campaign trail, and has continued to do so as president. 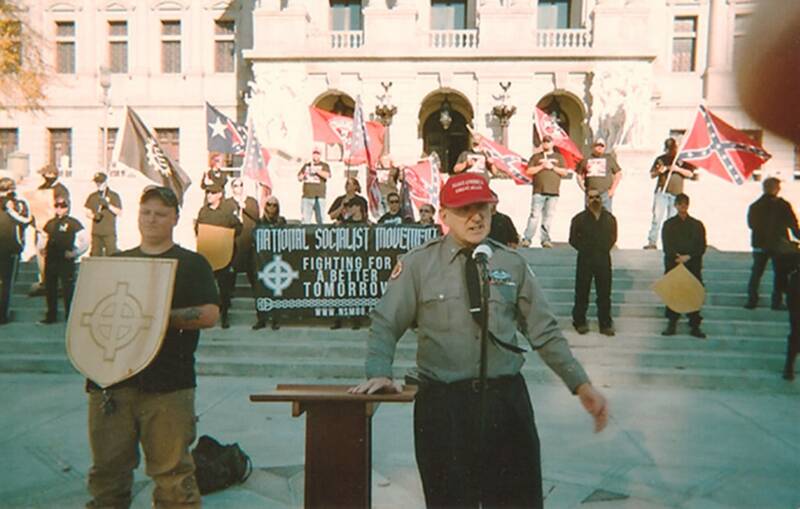 Jones—who expressed his support for candidate Trump—told local reporters he is a former leader of the American Nazi Party and now leads a group called the America First Committee. Stances outlined on his campaign website include: "No more 'Sanctuary Cities'," "No amnesty for illegal aliens," and "Make English the official language!" He also opposes abortion rights as well as "homosexual marriage and adoption of children by homosexuals," and endorses concealed carry firearms permits. "Arthur Jones, who proudly displays Holocaust denial, xenophobia, and racism on his blog and website, has a long history of hateful, extremist, and anti-Semitic views," said Lonnie Nasatir, a regional director of the Anti-Defamation League, which has tracked Jones's activity for years. "He has spoken publicly at numerous neo-Nazi rallies and events, expressing xenophobic policies based in racial and religious hatred." His campaigns and comments to reporters have sparked an alarmed discussion on social media, with some political observers linking the development to Trump's election. Responding to the flurry of tweets about Jones's campaign on Monday, the Illinois AFL-CIO declared, "The Blues Brothers said it best."